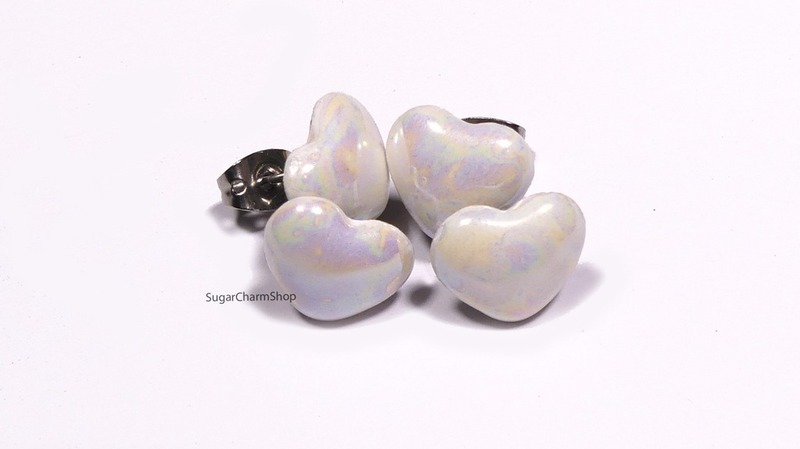 Ceramic heart studs with a pearlescent finish on a surgical stainless steel earring post. 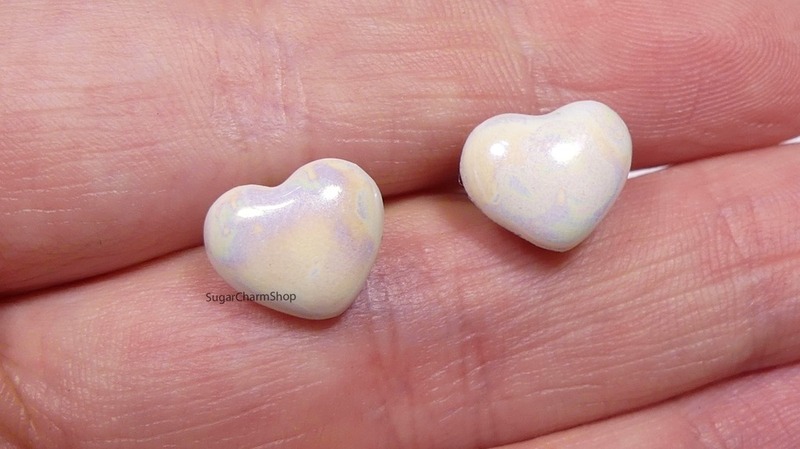 This listing includes 1 pair. Look may vary slightly as they are handmade.